This four-part series continues the discussion of totalitarianism and how it is the perverted reflection of totalism, which is absolute, ever-present, spiritual, and always perfect. Contained herein is a two-track thread, both interrelated, in terms of a discussion about sectarianism in the context of totalitarianism. Obviously, a sectarian, liberal democracy is very much different from—and, at least superficially, completely opposed to—authoritarian rule, theocracy, or a totalitarian state. Nevertheless, any governmental form not Vedic-based, not under the guidance of genuine brähmin-Vaiñëavas, will be flawed in human society. When, in due course, a secular, liberal democracy breaks down, degrades, and craters due to intrinsic and inescapable flaws, some kind of anarchy will follow. Soon thereafter, tyranny will fill the vacuum, and when it develops a totalitarian philosophy to underpin it, totalitarianism is locked into place. Today’s hell of pandemonium in the form of secular identity politics, secular media (including fake news), secular indulgence (legal to do anything deemed lawful by vote), secular capitalism, sense gratification for its own sake, and secular political campaigning—often little more than mudslinging–will slide into depravity. Society in general is becoming unrecognizable from what it once was, when it actually functioned to some extent. The unreliability in all of this entails increasing danger at every step. Totalitarians work to make the individual feel insignificant and the State (or the institution or its governing body) as the all-in-all. This is exactly opposite how a genuine bhakti cult is meant to function. The fully God-realized Äcärya is put in the center, the devotees are dedicated to him and his mission, and they strive to please and impress him. They strive to become themselves strong, self-realized, and God-realized in that process. Egotistical leaders, on the other hand, create propaganda and an environment designed to make those in their charge conceptualize themselves as weak and without any individual self-direction. In this way, they can be easily controlled (or ostracized) by the totalitarian cult. This syndrome can be prevented by exerting real will in the performance of bhakti-seva, and that will must be rooted in totalism, in the Absolute Truth. The man or woman of knowledge, character, and action is a theistic transcendentalist engaged directly with the Supreme in authorized service. He or she remains active in the determination of the intelligence through the working principles of buddhi-yoga given by the Äcarya. When both intelligence and higher intelligence are so engaged, subordinate factors, such as mind and body, will not pull down the devotee. Mis-leaders will also have a harder time doing so. It requires the right conception of the self, of the real ego. You cannot believe what the totalitarians and mis-leaders tell you that you are. You will never believe them as long as you cultivate the knowledge that Prabhupäda has bestowed upon you, but, if you live under their control and rely upon their facilities, you are compromised. They will make sure that you pay for those amenities, and, as soon as there is a lapse of will, they will psychologically pummel and degrade your determination, your genuine conviction, and your spiritual aim. Devotional buddhi, particularly the determination of your intelligence, is what the mis-leaders of the fabricated, so-called “ISKCON” confederation had to (and have to) interfere with in order to have pulled off their colossal hoax in the late Seventies. Most devotees in the movement were dependent upon them at that time; some of those dependents were even enamored by the charisma of the mis-leaders. Those totalitarians had significant institutional leverage in order to pull the strings, and pull them they did. They pressed all of the right buttons immediately after the zonal äcärya scam was implemented. Thus, they snapped the previous mindset of those under their thumbs. Those compromised devotees soon cracked, had guilt imposed upon them as offenders if they doubted, and then kow-towed to the big guns. They eventually engaged in päpa (sin), because the depravity inherent in such an arrangement would serve to demean them even further, i.e., make them more amenable as chelas, loyal followers, collectors, dedicated disciples, and fanatics. The degradation that soon ensued, both individually and collectively throughout the Hare Kåñëa movement, was effective in dumbing everything and everyone down, solidifying the worship of great pretenders, and facilitating forgetfulness as to what Çréla Prabhupäda wanted—and, just as importantly, what he did not want. We do not live in a well-meaning world. Prabhupäda, however, wanted to create one as a pocket of resistance on this planet. The universe, which is known as jagat (because it is always pulling the conditioned soul further down into vikarmic entanglement and degradation), will generally interfere with the plans of the Äcarya. The eleven pretender mahäbhägavats took him out of the center, and they proceeded to implement their scheme from that point onwards. Too many devotees fell for it, but that institutional delusion is waning now. It is not all that difficult to figure out what His Divine Grace wanted and what his program was, but, due to a collective lapse of will, who is going to attempt to implement it? “Sincerity is the key to success. Within the paradigm of vox populi, secular law has its representatives of political parties, and they are all aware of the importance of appearing to be honest and sincere. When one side has a fraud or scandal exposed, it loses votes. As such, it must work to get that fraud or scandal forgotten in order to once again project its false aura of sincerity through the persona of its representative politicians. The strategy and tactics employed by opposing political groups of all stripes in Western democracies necessitates projecting sincerity and honesty, but the real issues of human life cannot be discussed in any meaningful way in such a secular paradigm, because, at root, all of its concoctions are not at all sincere. This same syndrome is found in “ISKCON,” in Neo-Mutt, and in the plural Rittvik lines. 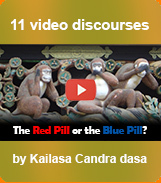 The rationalizations underlying these apa-sampradäyas are all based upon dishonesty. We may personally respect devotees bewildered by these unauthorized schools. We should always have honest dealings with them—if we deal with them at all. We may even have, in some special cases, a friendly feeling for one or two of them. Nevertheless, such basic etiquette or transcendental respect cannot—and, more importantly, should not—cover over the fact that those deviations are dishonest manifestations. Devotees that represent them are not and cannot be sincere, because anything that is not authorized by the guru-paramparä is never an honest or acceptable alternative. The teachings of the Absolute Truth are impeccably honest and perfect. Vedic totalism is non-different from the Absolute Truth. Sincerity is integral to Vedic totalism, but, in this age of hypocrisy, Vedic totalism is replaced by totalitarianism, which is always dishonest, especially in its formative stages when it first gains traction. Like attracts like. 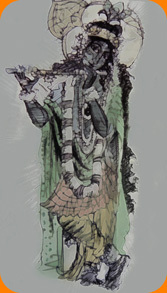 Sometime in the indeterminate future, if “ISKCON” pseudo-brähmins are able to get their nose under the tent and worm their way within some kind of disguised form of totalitarianism–lending to it the perverted reflection of Vedic totalism–honesty will neither be present in the modus operandi nor in the product of such an international oppression. This possibility is now an ominous development in seed form. If it does ever sprout and flourish, no sane man or woman will adore the pseudo-brähmins who take advantage of it–so why adore them now? Aren’t warrior needed in order to stop the totalitarianism that the “ISKCON” mis-leaders seem to be moving toward? Are brähmins exposing them really enough to stop them? That the initial deviations were strong-armed into place via intimidation and thuggery—at least, to some extent—is beyond dispute. However, most of the eleven pretender mahäbhägavats were and are brähmins by nature–fallen brähmins, that is. Technically, they all were brähmins, of course, because they were all initiated as brähmins, and most of them were also initiated as sannyäsés. Only one of them obviously had the warrior nature, but even he was quite brähminical and did not often exhibit such princely bravado. That all of them possessed éçvara-bhäva is without question, but, when it came right down to it, they were not really fighters–not on the physical plane. They were instead aggressive, psychological manipulators, but not really warriors. Their movement, the fabricated, so-called “ISKCON,” was not created through kñatriya action but was instead established via a quasi-brähminical form of warped and dishonest apparent persuasion, which was actually deception disguised as persuasion. In other words, those men became experts at black ops propaganda, lies, mudslinging, character assassination, misinformation (disinformation and misrepresentation), cognitive dissonance, brain-washing, love-bombing, censorship (including by omission), and the pretense of brähminical power. As such, since “ISKCON” was implemented by pseudo-brähminical means, it can be brought down in (what appears to be) the same way, but instead by genuine persuasion. The INTERNET is helpful in this connection. What are the chief factors keeping otherwise good devotees–those who are not in the top echelons of the institution, those who Prabhupäda previously had termed the real workers in his movement—connected to “ISKCON”? In order to answer this question, the manifestations of this connection can be placed into three basic categories. First of all, in order to comprehend this answer, the reader must already know that “ISKCON” represents not the spiritual world of transcendence but the world of mäyä, i.e., the principles that keep conditioned souls attached to mäyä. This mäyikä mentality clings to those who remain connected to “ISKCON,” even when they realize, to some extent, that the cult is severely flawed. As such, the answer to this poignant question is contained in Bhagavad-gétä: Those chief three factors are räga-bhaya-krodhä, as per Chapter Four, Text Ten. Räga means attachment, and various attachments keep a contingent of somewhat honest devotees–those who are less contaminated than their peers in that institution and who still possess some degree of personal integrity–connected to it. Examples of such attachment are society, friendship, and love connections, including with godbrothers, leading secretaries, or institutional gurus. Other attachments could be to salary or profit amenities that rely upon “ISKCON,” or “ISKCON”-based admiration received from others in the cult. All of these things would quickly disappear if an individual left the organization, so attachment to these things creates a connection. Then comes bhaya, fear. There is certainly a contingent of devotees who fear the repercussions of going “outside the walls,” and their fear is based upon many factors. If they have some advancement in occult principles, they know that they will be cursed for leaving, and they do not want to endure that. Fear of institutional ostracism or excommunication is a motivation, and it trumps knowledge of the deviations in many cases. They are aware of “ISKCON” deviations to a significant extent, and they detest them—but not deeply enough, however, to allow them to break away. They stay on the “ISKCON” boat, fearful that mäyä will overwhelm them on the outside. It is a stone boat, but it actually sinking is considered by them to be unlikely at this time, i.e., only sometime in the distant future will it flounder, and that will not be of any consequence to them. Fear of developing real self-realization outside the degrading influence of “ISKCON,” in which they have developed some kind of personal standing (that substitutes for self-realization), is also a factor for some of them. Then we come to the all-pervading energy of competitiveness, which has been present not only in “ISKCON,” but also beforehand, when the movement was still legitimate. That competitive atmosphere is based on anger. Even well before Çréla Prabhupäda departed–under most nefarious circumstances in late 1977–competition was always virtually everywhere in his movement. It reached the next level after he was no longer manifest, and the zonal äcärya scam took over. This is an in-depth topic, and, frankly, it cannot fully be understood by anyone who was not participating actively in the Hare Kåñëa movement during its heyday of the late Sixties and first half of the Seventies. Those who were not as dedicated to the cause of spreading Kåñëa consciousness, who were not as determined to make advancement in spiritual life, and who were not as powerful in resisting the mäyä, became envious. Not all of them, of course, but some, i.e., this was not a rare manifestation. A destructive form of competitiveness, although Prabhupäda (despite allowing limited transcendental competition) emphasized cooperation in his movement, created even more envy. That envy was practically non-different from a state of anger. As a result, those devotees did whatever they could to undermine and harm the godbrothers whom they so envied. Your author had plenty of experience of this in the Seventies, and it was most unpleasant. What must be understood here is that heavy engagement in despair produced by constant intoxication was the condition of the majority of those who joined ISKCON back in the day. As His Divine Grace said, the hippies were his best customers. Those seekers who believed that intoxication was the route to higher realization eventually encountered so many contradictions in their search that they became angry men. In their despair, somehow or other, they fortunately contacted Kåñëa consciousness. Yet, that anger, to a significant extent, carried over, and it manifested within the ISKCON movement in the form of destructive competition, or, as Hobbes so aptly put it, “the all against all.” Of course, many of these competitors, in order to bring down those who were better than them–forcing them to realize how undeveloped they were–thus harbored envy. As a strategy, they sometimes became brown-nosers, kissing up to the temple president and/or the local G.B.C. in order to undermine the devotees who frustrated them. Those who were envied were the real workers in the movement. To re-iterate, this is a very complicated subject, and a long article could be alone devoted to it. There is another factor related to this answer, one which is more subtle. “ISKCON” leaders and followers all believe that there must be some attachment to the cult—in whatever form it manifests is not important—in order to be considered a real devotee. The boat of “ISKCON” promises automatic deliverance to the spiritual world, but a certain mentality is the sine quo non for this post-dated blank check. The loyalists must see that you are attached to their hierarchy and their institution. Whatever service they may approve, what they are actually looking for is not the service but the mentality underlying it. You are only a legitimate devotee, in their eyes, if you possess the attitude they require. They not only know how to spot it, but they also know how to spot when it is not present. Sometimes they will verbalize this expectation to a limited extent, but usually not. Ironic as it may seem, they still honor even many who criticize them outside their cult, but who still possess this mentality. On the other hand, they have nothing but contempt for those who do not possess it, and they do not want those devotees around them. If you are a reader of our articles–and you have thus assimilated the message contained in them–then you do not possess the mentality that “ISKCON” requires. However, if you are also, in some way, dependent upon that organization, then you are in danger, because you are considered an outsider. Ask Aindra about that (if you only could). The “ISKCON” mentality just described was present even while Prabhupäda was with us. When Prabhupäda departed, those handful of devotees who never developed that attitude were, for all practical purposes, the only ones who did not fall for, or become entangled in, the First Transformation of March, 1978. That made for difficult and excruciating experiences at that time and thereafter, but that ordeal can now be worn as a badge of honor. There is no legitimate reason for any progressive transcendentalist to be compromised by attachment to “ISKCON.” Read the purport to Bhagavad-gétä, 4.10, assimilate its message in terms of the “ISKCON” mäyä herein described, and the answer to your question will be self-evident. Initiated Disciple: A man in bad faith drifts along from day to day without being involved, avoiding responsible decisions. In order to get inspiration from the Paramätmä in Kåñëa consciousness, we must be both determined to please Him and engaged in pleasing Him. Everything is controlled by the intelligence of the Personality of Godhead at all times, so the current malaise amongst so many previously enthused devotees is sanctioned by the Parameçvara. It is but a prelude of what is yet to come, the next descending octave, and that will be a bit shocking. It will also be the result of not pleasing the Lord. Prabhupäda impregnated within his movement the transcendental message of defiance of all other systems of so-called spiritual and/or devotional life. Those systems would include the major deviation going on (in his name) today, viz., “ISKCON.” This institution contains distorted values that only appear to be Vaiñëava. What has been rather shocking over the last forty years has been how easily those values have infiltrated into what was previously a genuine transcendental movement. In the early Seventies, it appeared to be unstoppable. However, then came the spring of 1978, and everything was transformed. The imposition of the eleven pretender mahäbhägavats, the zonal acaryas, did not at all please Çréla Prabhupäda, the Gauòéya Vaiñëava paramparä, or the Paramätmä. Nevertheless, the Party Men pushed it and the devotees in general went along with it, considering it the next stage of the Kåñëa consciousness movement. Hardly anyone confronted it, and those who did paid the price for doing so. Most of the others continue to remain blind to what went down—and what continues to transpire in the same mode. They cannot bear the blaze of the transcendental torchlight, which reveals everything for what it really is. They merrily glide down the stream of mäyä in a boat crafted by the “ISKCON” dream, believing the promise that, simply by doing so, they are guaranteed to go back to Godhead. They believe that they just need to stay on the boat and enjoy the party—as subordinate enjoyers and servants, since the big guns of “ISKCON” must always remain in the chief enjoyers. Serious students seeking the Absolute Truth will never fall for this luncheon of the boating party, seeing it for the exploitation that it is. The superstructure, lifestyle, and amenities bestowed upon his disciples by Çréla Prabhupäda during the implementation of his movement in the Sixties and Seventies did not hurt them spiritually. In no small part, this was because he was always put in the center everywhere and remained in the center everywhere. He was supposed to remain in the center, but the pretense that he is still there should be obvious now to all but the fanatics. He is supposed to be the supreme authority of the Kåñëa consciousness movement, but the massive changes to his books belies that. The authority present in the original writings is no longer present, and no one can any longer be confident in the books. Thus, his authority has been challenged at its very base. And what fills the vacuum thus intentionally created? Why, it’s the Governing Body Commission, of course! The same entity that gave us the Äcärya Board. The same entity that imposed upon us the zonal äcärya scam. The same entity that later allowed the remaining pretender mahäbhägavats to keep their disciples, allegedly initiated, even after the pretense that those bogus gurus had used was exposed. The same entity that has done nothing, and continues to do nothing, to stop the rampant book changes. That’s the authority that the Boating Party now accepts in place of Prabhupäda, although they go through the motions and formalities of worshiping him at their temples. The depth and varieties of material enjoyment cannot be fathomed. Nevertheless, we can all know that what is going on in “ISKCON” is but a manifestation of an obnoxious slice of it. An expert spiritual master, even on the intermediate plane of devotion, would never tolerate such pretentiousness. Still, the shock continues in the form of just how many previous stalwarts in devotional service not only tolerate “ISKCON” but aid and abet its pretense. The false aristocracy of an oligarchical tyranny augurs eventual totalitarianism, but nobody on the boat cares about that, because they are all enjoying too much. The prominence of knowledge, detachment, and transcendental science was lost decades ago in the “ISKCON” cult, and the promised reward for remaining in the boat has taken its place. There are the great enjoyers, there are a few remaining revolutionaries making propaganda against them, and everybody else is in the middle. Those last-mentioned people generally drift, content with being on the boat and accepting a post-dated check from the fabricated, so-called “ISKCON” mis-leaders. They don’t see where their leaders are really at, because they would just as soon drift and not see it. In the not-so-distant future they may finally see it, but by then it will be too late. G.F.B.D. At that time, the techno-theocracy will certainly not tolerate anyone breaking away from their pseudo-spiritual racket.